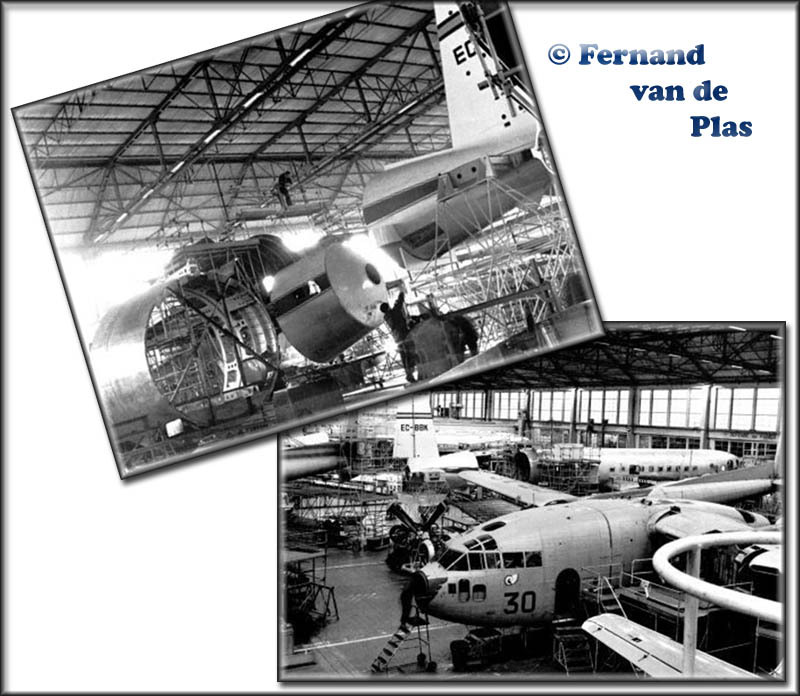 Fernand wrote about these photos: "Here are 2 images taken during the reconfiguration of the Spantax DC-6B EC-BBK, in the SABENA hangars. Taken during 1968. On the 1st photo (larger image) you see the removal from the fuelage plug, and the ‘swingtail plug’ on the floor next to it, waiting to be installed. 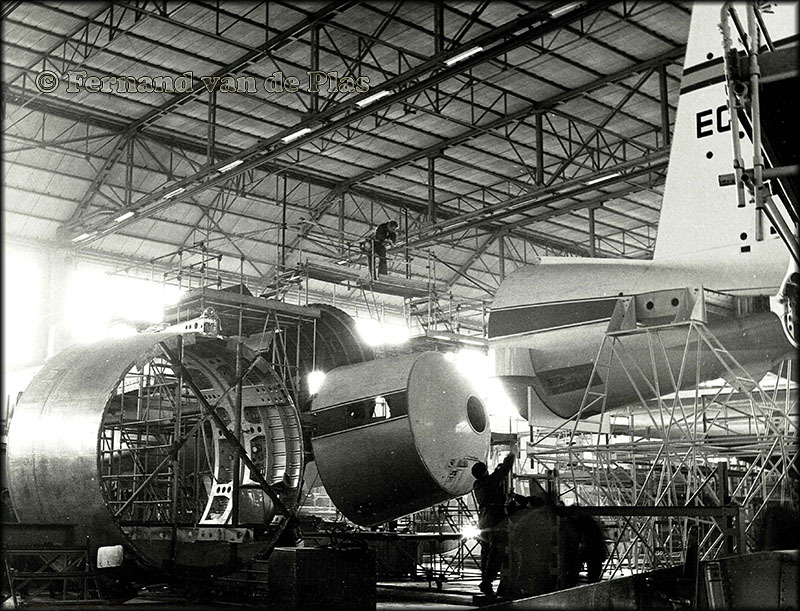 The 2nd photo (larger image) is an overview of other aircraft in maintenance around EC-BBK. There are 2 Belgian Air Force C-119G's in a D-check. Further on is a 2nd DC-6B in maintenance. 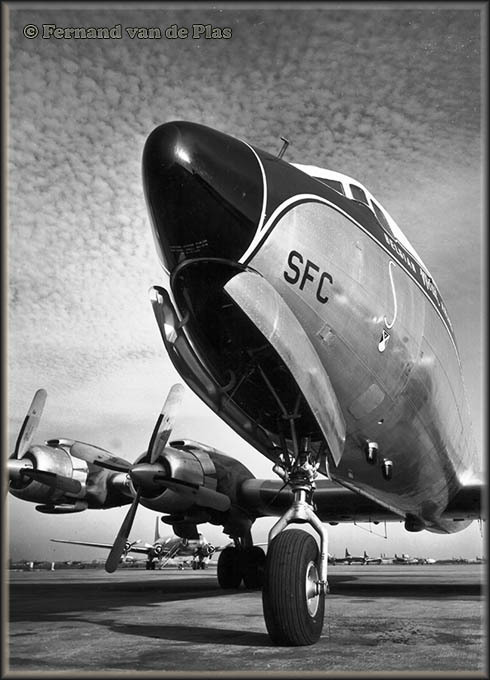 In those days SABENA was a significant Douglas- en Boeing maintenance center." Fernand sent me this 1971 image, depicting DC-6 TF-OAD at Ostend, Belgium. 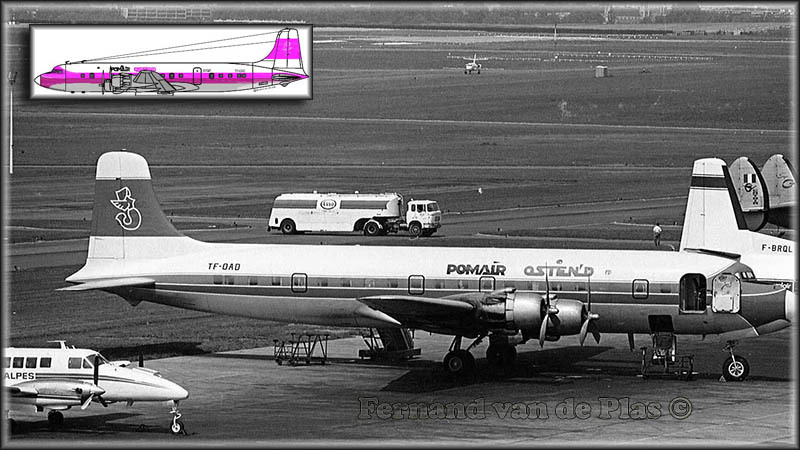 'Big Doug' DC-6B c/n 45133 was leased by Pomair Ostend from Fragtflug Iceland, hence the Icelandic TF- tailnumber. History at www.aerotransport.org show shows (August 2009) that it was returned to Linebacker Sportsliner Travel Club but... its ultimate fate is obscured! Details welcomed. 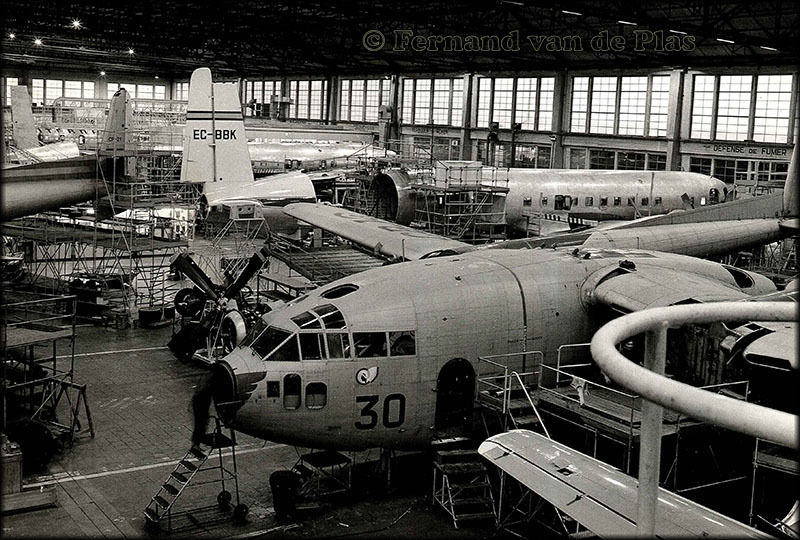 Fernand van de Plas sent me this impressive vintage Propliner photo. It shows to full advantage SABENA's good old DC-7C OO-SFC (c/n 45159) in the early days (1956).